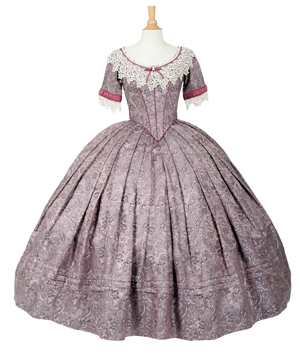 Hello and welcome to the Goodspeed Costume Rental website. I can’t tell you what a thrill it is to be overseeing this amazing selection of garments as we develop new systems and programs to make renting from Goodspeed an easier and more enjoyable process. We feature costumes from some of Broadway's biggest and brightest shows as well as Goodspeed's award-winning designers who develop new looks for our own productions. 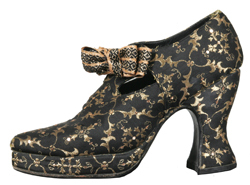 In addition to 220,000 hanging garments, we offer an array of shoes, hats, belts, purses, gloves and other-one-of-a-kind accessories. Our team of stitchers and builders have begun working to make sure that our costumes are repaired, refurbished, and ready for the stage. Whether you're looking for an entire production or one special piece to complete your design, our professional staff will work with you to find just the right item to make your ideas come to life. 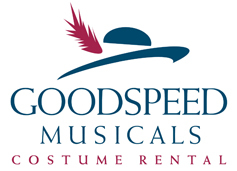 I am excited to welcome you to our new facility and hope that Goodspeed's Costume Collection can be a part of making your next production truly spectacular! Features costumes from Tony-winning Broadway designers such as William Ivey Long, Gregg Barnes, Catherine Zuber, Willa Kim, Florence Klotz, Linda Cho, Anthony Powell, and more! Newly opened in Fall of 2014, Goodspeed's Barrington Costume Center is conveniently located in East Haddam, CT - just a short train or car ride away from New York and most of the Northeast. If you have not yet visited the facility, come find exciting new things and enjoy perusing our aisles and looking at some of the Broadway classics. We would be glad to assist you with travel arrangements. Watch the hosts of WFSB's "Better Connecticut" play in the costume rental shop!